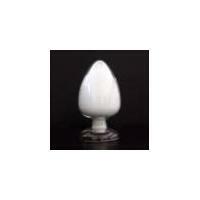 Home Companies Dalian Heterogeneous Catalyst Co.,Ltd. Oxidation catalyst: The product nitriding activated carbon catalyst is used in N-(Phosphonomethyl)iminodiacetic acid (PMIDA) decarboxylation process of air oxidation. This process is the key point in PMG production. It has a better catalytic efficiency than the NORIT products and approach the Monsanto Pd/C catalyst performance. With high concentration of PMIDA, the PMIDA conversion is 100%, the selectivity is higher than 95% and greatly reduce the waste water volume in this process. The reaction time is not more than 3 hours and application amount is not more than 10Kg for each ton of PMG.